Adele Laurie Blue Adkins MBE (/əˈdɛl/; born 5 May 1988) is an English singer-songwriter. Graduating from the BRIT School for Performing Arts and Technology in 2006, Adele was given a recording contract by XL Recordings after a friend posted her demo on Myspace the same year. In 2007, she received the Brit Awards "Critics' Choice" award and won the BBC Sound of 2008 poll. Her debut album, 19, was released in 2008 to commercial and critical success. It is certified seven times platinum in the UK, and three times platinum in the US. An appearance she made on Saturday Night Live in late 2008 boosted her career in the US. At the 51st Grammy Awards in 2009, Adele received the awards for Best New Artist and Best Female Pop Vocal Performance. Adele released her second studio album, 21, in early 2011. The album was well received critically and surpassed the success of her debut, earning the singer numerous awards in 2012, among them a record-tying six Grammy Awards, including Album of the Year; two Brit Awards, including British Album of the Year, and three American Music Awards. The album has been certified 16 times platinum in the UK, and is the fourth best-selling album in the UK of all time. In the US it has held the top position longer than any album since 1985, and is certified Diamond. The album has sold 31 million copies worldwide. The success of 21 earned Adele numerous mentions in the Guinness Book of World Records. She is the first woman in the history of the Billboard Hot 100 to have three simultaneous top 10 singles as a lead artist, and the first female artist to simultaneously have two albums in the top five of the Billboard 200 and two singles in the top five of the Billboard Hot 100. 21 is the longest-running number one album by a female solo artist in the history of the UK and US Album Charts. In 2012, she released "Skyfall", which she wrote and recorded for the James Bond film of the same name. The song won an Academy Award, a Grammy Award, and a Golden Globe Award for Best Original Song, as well as the Brit Award for British Single of the Year. 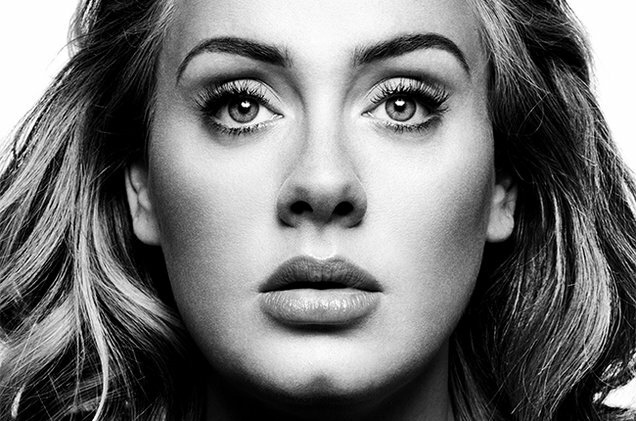 After taking a three-year break, Adele released her third studio album, 25, in 2015. It became the year's best-selling album and broke first week sales records in the UK and US. 25 was her second album to be certified Diamond in the US. The lead single, "Hello", became the first song in the US to sell over one million digital copies within a week of its release. Her third concert tour, Adele Live 2016, is her largest to date, taking in Europe, North America and Oceania, and will end with four concerts at Wembley Stadium, London in mid 2017.